The Parish Council is the first tier of local government. Councillors are elected every four years, the last election having taken place (uncontested) on 7th May 2015. The current Parish Council comprises seven elected members of the village. The present councillors are Lynn Devereux (Chairman), Robert Burton, Martin Crown, Margaret Easton, Kevin Felgate, Gillian Morley and Geoffrey Needham. Our main aim is to represent the interests of parishioners at grass roots level. Details of our main areas of responsibility can be found on the Main Activities of Holme-next-the-Sea Parish Council page. A great deal of information regarding the day to day business of the Parish Council is available to the general public. Please check out this Publication Scheme to see what is available and how to obtain copies. We support the Norfolk Link Magazine. Parish Council meetings are open to members of the public and press, who are welcome to come and observe. At each meeting, there is an open session, lasting no more than fifteen minutes, at which point parishioners may address the Council on any relevant matter of interest to them. After the Minutes of Parish Council meetings have been checked and accepted they are published here. Agendas are displayed on the notice boards at the junction of Kirkgate and Peddars Way, the bus shelter on Main Road and in the porch of the church and are also distributed via VIN, the Village Information Network. 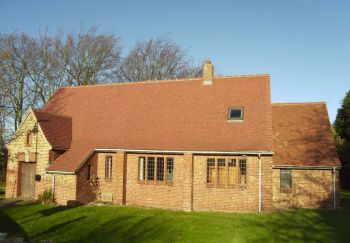 Parishioners are also welcome to attend the Annual Parish Meeting, held each May also in the Village Hall, at which the Council reports on its work over the previous twelve months and its priorities for the coming year. Groups and individuals who play a role in the life of the community are also invited to attend. These include the police, our District Councillor and representatives from different village organisations. This meeting gives parishioners an opportunity to air their views on current issues.